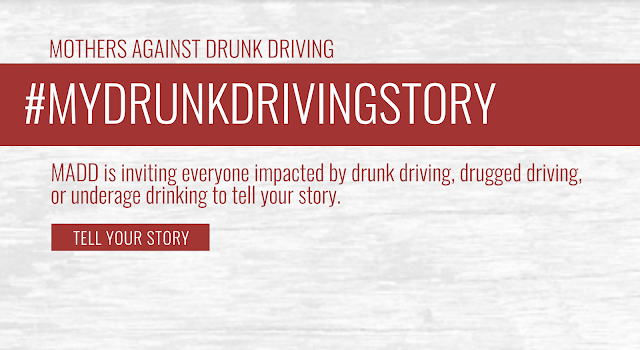 MADD is also asking all drunk driving victims to tell their stories on their social media pages using #MyDrunkDrivingStory. The PSA honors Philip and all injured drunk driving victims, and sheds light on the life-changing impact on survivors of the violent and 100 percent preventable crime of drunk driving crashes. MADD welcomes media outlets to use this PSA on their networks to help the organization get closer to its vision of No More VictimsÒ. We serve and honor injured victims on an on-going basis and would like the country to join us to do the same. Founded in 1980 by a mother whose daughter was killed by a drunk driver, Mothers Against Drunk Driving® (MADD) is the nation’s largest nonprofit working to end drunk driving, help fight drugged driving, support the victims of these violent crimes and prevent underage drinking. MADD has helped to save more than 350,000 lives, reduce drunk driving deaths by more than 50 percent and promote designating a non-drinking driver. MADD’s Campaign to Eliminate Drunk Driving® calls for law enforcement support, ignition interlocks for all offenders and advanced vehicle technology. MADD has provided supportive services to nearly one million drunk and drugged driving victims and survivors at no charge through local victim advocates and the 24-Hour Victim Help Line 1-877-MADD-HELP. Visit www.madd.org or call 1-877-ASK-MADD.